**EXTREMELY MOTIVATED VENDOR WILL LOOK AT ALL OFFERS**** BEAUTIFULLY TREED, PREDOMINANTLY FLAT 18 ACRE PARCELS like this rarely become available in this area. This may be a terrific opportunity for those looking to hold, further develop, or use as an estate property. Preliminary discussions with the Regional District of Nanaimo, indicate that under RU5D zoning, subdivision into 3 parcels, with a minimum parcel size of 2 hectares is possible, with additional access likely from Sherritt Drive. The property contains some merchantable timber as it is almost entirely covered in a mixture of mature and semi-mature Douglas fir trees. 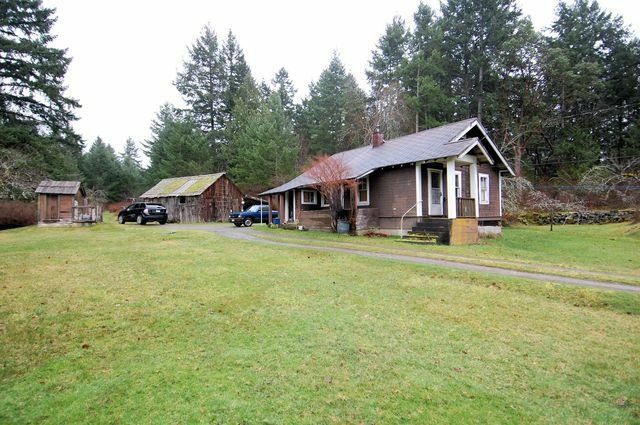 Great location in an area of nicer homes, close to marinas, golf course, trails and a short drive to either Nanaimo or Parksville. A small 2 bedroom cabin and several out buildings were built many years ago, and while habitable likely do not hold much value. All inquiries regarding potential subdivision should be directed to the Regional District of Nanaimo.